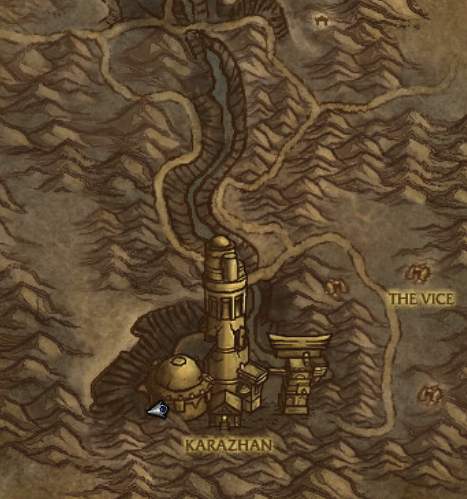 Karazhan: The perfect place to take on the Grand Master! You’ve battled all of rest, now take on the best. Or at least the one with the highest level. 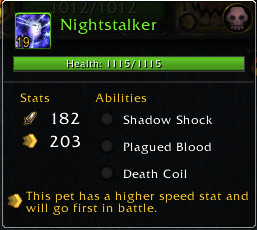 All of your pets should be at least Level 18 before taking her on. Mainly because otherwise you’ll miss way too often and experience frustrating death. Also, if you have a humanoid heavy group, you might want to wait until they’re 19. The fight is pretty straightforward, but there are a few things to pay attention to. She’s big. She’s mean. All her pets are Level 19! Let’s here it for Lydia Accoste! 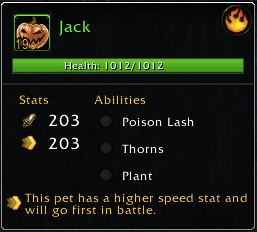 Jack is a pretty typical elemental. He has Thorns and a Poison Lash ability. He also has an ability called Plant where he plants himself into the ground and after a few turns he uproots and gets a big heal. You can try to time your big attacks around this ability, but it’s not usually necessary. 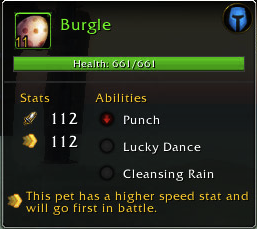 Put a strong DPS pet on him, avoid using stampede or swarm type abilities because of Thorns, and keep out of reach of Mechanical pets and you should be fine. 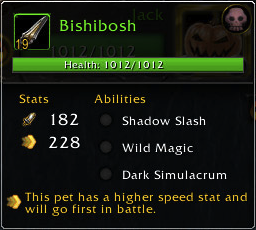 Bishibosh is an Undead shaman pet. He has kind of a weird set of abilities. Shadow Slash is your typical Undead attack. Wild Magic does no damage, but puts a debuff on your pet so that it takes extra damage. This can hurt when combined with swarm or flurry type abilities, but fortunately Bishibosh doesn’t have any of those. Dark Simulacrum lets him copy your abilities. Bishibosh also has an ability called Dark Simulacrum. This takes what ever ability you use against him when it is active, and lets him copy it and use it against you every few turns. It’s not really that powerful most of the time, but it is something you should be aware of. Bishibosh isn’t all that tough unless you are using a dragonkin or humanoid on him. 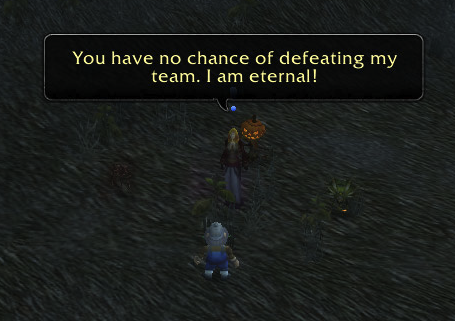 Just DPS him down and use your abilities like normal. He puts enough debuffs on you, however, that you may need to swap your pet out before going after the last member of the team. Nightstalker is an Undead with life-stealing abilities that make her hard to kill. If you have any pets that do critter damage, save them for her. Her first ability is Plagued Blood. 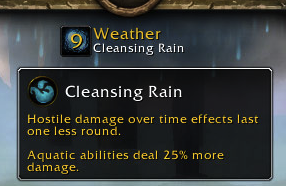 This does some damage and puts a debuff on you that lets her heal herself when she damages you. 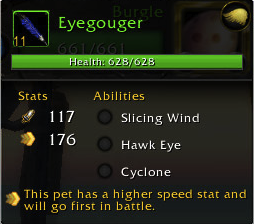 It can be helpful to put a pet on there to take this debuff and then swap quickly, though it may not be strictly necessary. She also has an ability called Death Coil. This ability damages you and also heals her for a fair amount. Combined with the Plagued Blood debuff this can be very annoying. Her final ability is Shadow Shock which is a normal Undead damage ability. The key to beating Nightstalker is to simply damage her faster than she can heal herself. If you have a Critter damaging pet, or a pet with stampede abilities, she isn’t that tough. An Aquatic pet can also do well as it will take less damage. 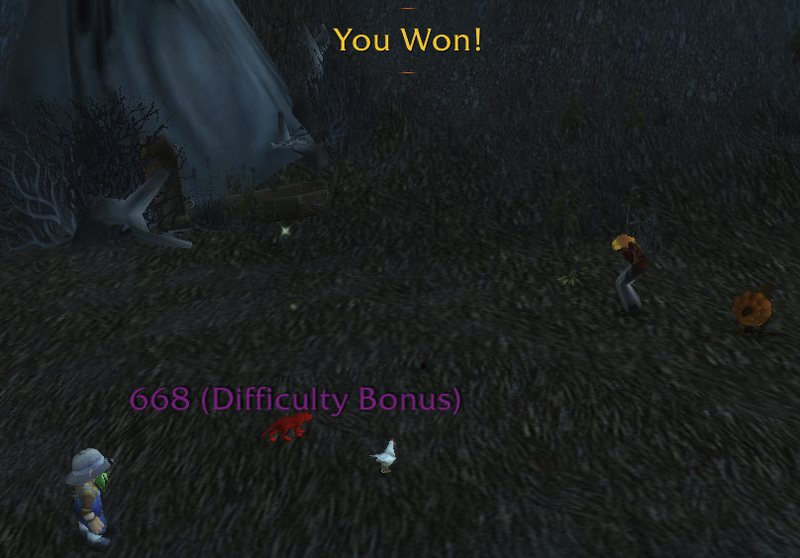 In summary, this fight can be difficult because of her last pet. If you have a Humanoid heavy composition, you might have alot of trouble. Otherwise, you should be able to get her down after a few tries. Champion of the Eastern Kingdoms! Congratulations! 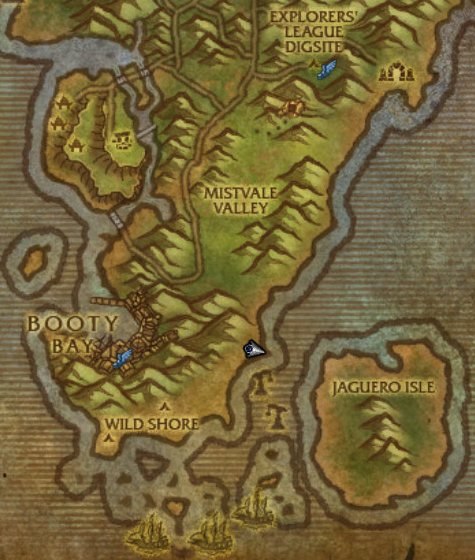 You’ve now finished Taming Eastern Kingdoms and have unlocked all of the dailies. More importantly, every time you beat Lydia Accoste, you receive a Sack of Pet Supplies which has a chance to drop an upgrade stone or even a nifty new pet. I asked for Hot Springs not a Lava Lake! I’m never booking with Dwarven Holiday Excursions again! After a relatively easy couple of tamers, you start your last two with a moderate challenge. Grumpy Dark Iron dwarf has all level 17s. Unless you have a really tough composition, you can probably take him at 16, but be prepared to have at least one of them die to his stupid gimmicks. Meet Durin Darkhammer: King of Stupid Gimmicks. 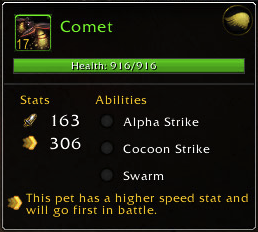 Comet is a Flying pet. With a Cocoon. He also does Swarm which is where you get attacked by a bunch of little tiny insects that do critter damage and give you the Shattered Defenses debuff. If you have a magic pet, he’s pretty easy. Try and time your hard hitting abilities to avoid Cocoon Strike and keep away from Undead and Aquatic pets. Ignious is an annoying little Critter. He has this ability called Scorched Earth that hits you with a large amount of Dragonkin damage and changes the weather so that everything is on fire and takes extra Dragonkin damage at the end of each turn. He also has this self heal called Cauterize that heals for half the damage of your last hit. Finally, he has this elemental attack called Burn. You can put a Beast on him to kill him quickly, an elemental to negate the weather effect, or even an Undead pet as he doesn’t actually do Critter damage. Avoid using Mechanical and Magic pets on him. 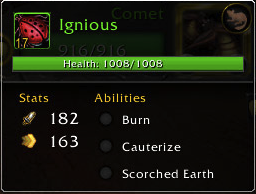 Also, if your pet still has the Shattered Defenses debuff from the previous pet, it’s a good idea to swap it out until that debuff wears off. Slayer of Low Health Pets. 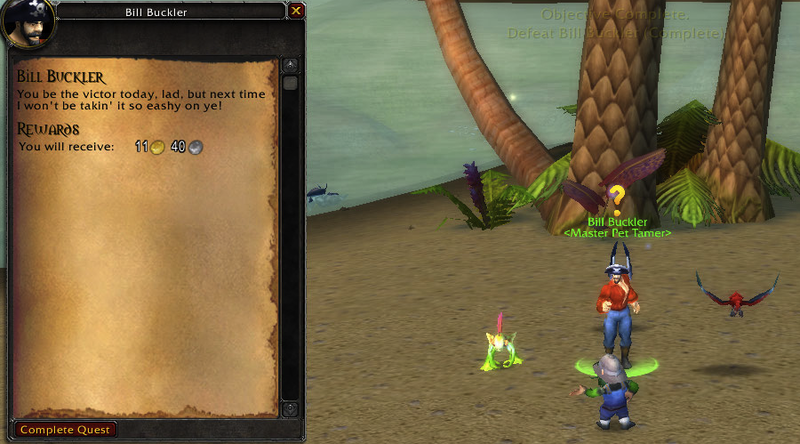 I kind of hate Moltar. He’s not actually that hard to kill, but here you are doing everything right. You’re just slaying the rest of his team. 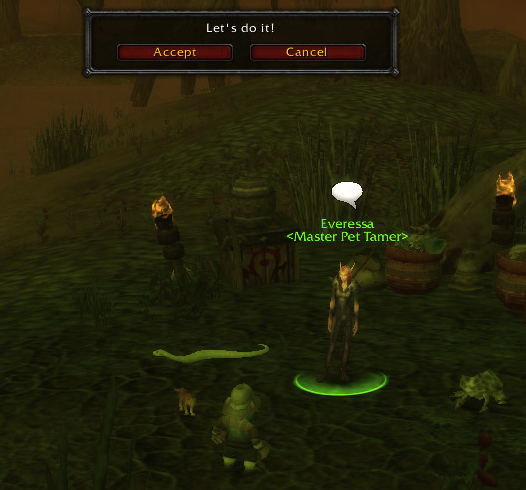 You’re being smart and swapping out your low health pets before they die and then he busts out Magma Wave and all your little backline buddies start getting cooked. 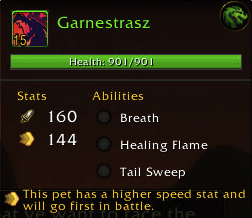 He has just enough health that you’re pretty much guaranteed to lose at least one pet to this annoying gimmick. 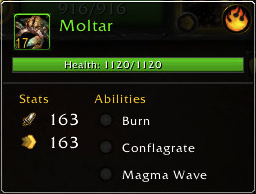 Moltar also has Conflagrate which does extra damage when your pet is burning, like say when you’re under the effects of Scorched Earth from the previous pet. His other elemental attack, Burn isn’t that annoying and he doesn’t have any heals or damage avoiding abilities. Just kill him quickly and get mildly annoyed with his stupid gimmick. In Summary, if you have a Mechanical heavy team, this fight might be a problem. Otherwise, you just have to pay attention to match ups and time your attacks to avoid Cocoon Strike or any big heals. Also, slap Moltar once, just because he deserves it. 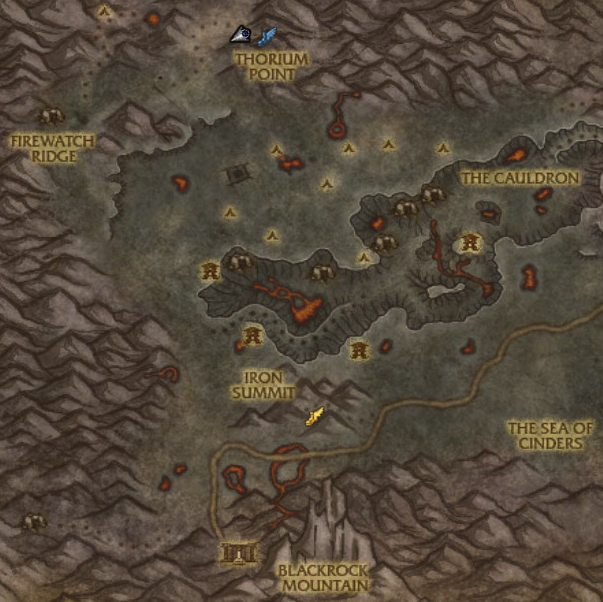 Welcome to the Swamp of Sorrows: Population 10M Bugs + YOU! Only three tamers left so we’re on the home stretch. 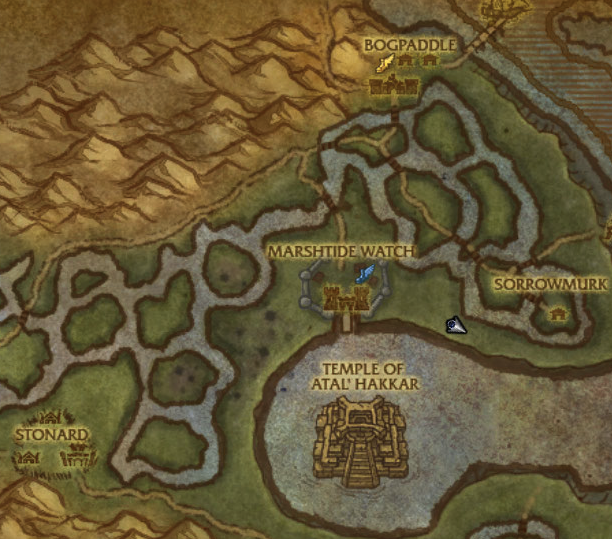 I suppose a slightly unstable Blood Elf tamer wandering around the middle of the swamp babbling about finding Great Secrets™ should be a surprise at this point. 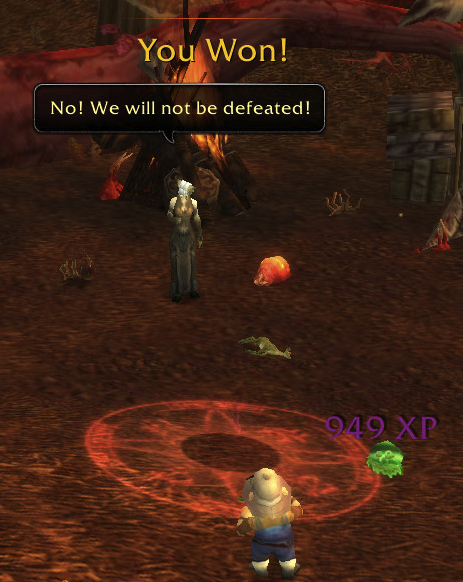 But after battling Creepy Spider Guy, Undead Mad Scientist Guy (complete with an authentically creepy “Are you my Mummy?” Gas Mask), and Crazy Draenei Death Knight Chick, a conspiracy minded Blood Elf wandering around ancient ruins is just par for the course. In fact, she’s probably one of the more stable tamers in the Eastern Kingdoms. After meeting Everessa, I have to ask myself: Are the pet battles making them crazy, or do crazy people just love pet battling? This fight is actually pretty easy. You can take them at level 15 for sure. If you have a good matchup, you can maybe try them at 14, but it’s probably not worth it. Dampwing is your typical flyer. She doesn’t have a cocoon or other damage avoiding abilities. 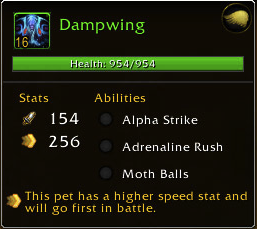 Just Moth Balls which damages and slows your pet down, Adrenaline Rush which makes her go faster, and Alpha Strike a flying damage ability which does extra damage if she attacks first. 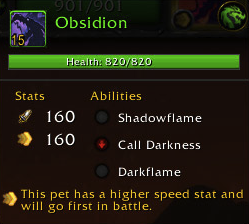 Just put a Magic or strong DPS pet on her and you’re set. Obviously, keep Aquatic pets away from her. Croaker is a moderately annoying Aquatic pet. He has Frog Kiss which does increasing damage the more times he uses it and has a chance to turn your pet into a (useless) frog. He also has Tongue Lash and Swarm of Flies which can do a fair amount of critter damage. Put a Flying pet on him, if you have one, and avoid using Undead or Elemental pets against him. Otherwise, just damage him down and don’t be afraid to swap. 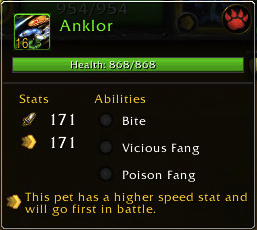 Anklor is your typical snake pet. He doesn’t even burrow. He just hits you with his Poison Fangs and then bites you to death. Keep out of reach of Critters and if you have a Mechanical pet, he’s super easy mode. In summary, this tamer should be easy for most compositions. Just pay attention to matchups and you’ll be fine. The truth is out there, Everessa! 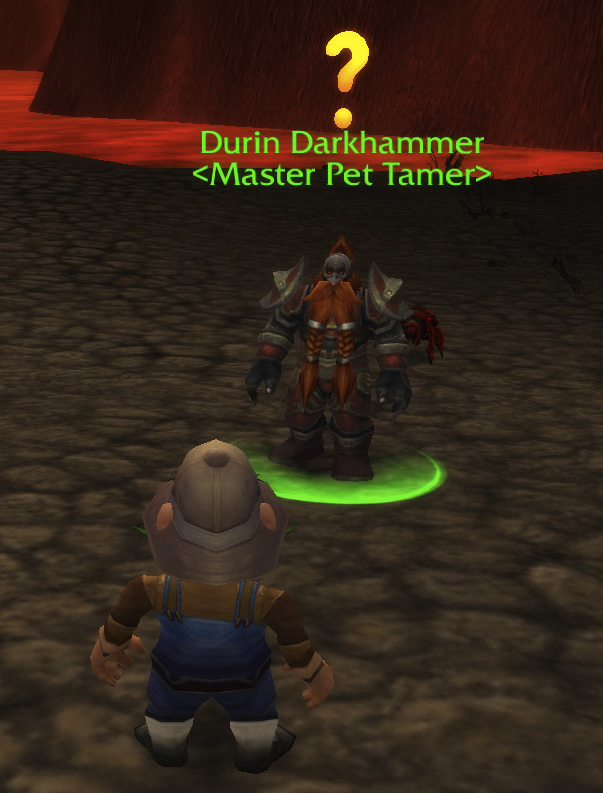 Apparently, there’s some kind of dwarven sibling rivalry between this guy and the Burning Steppes tamer. 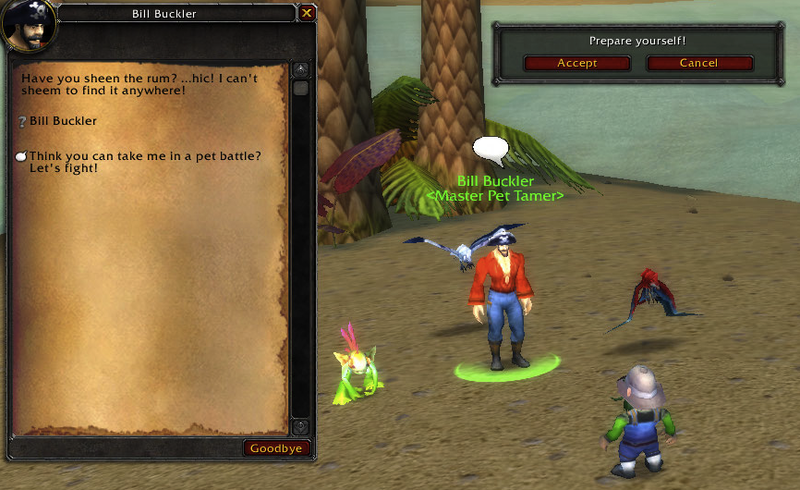 Not to take sides, but the dragon tamer guy definitely has the cooler pets. You should be able to take fight him when your pets are level 14. If you have a humanoid, you can take him at 13. Humanoids will tear these pets up! Meet Kortas Darkhammer. He loves dragons! He’s red like a garnet. Garnestrasz is a red dragon with an annoying name. Let’s just call him Big G. Big G does the most damage of the three so keep Magic pets away from him. Any pet with humanoid abilities will tear him up. Otherwise put an Undead or another high damage pet on him. She’s viridian, which is a shade of green. Veridia is a green dragon with lots of tank abilities. She has Emerald Presence which is a shield ability and Emerald Dream which is a super big heal over three turns. 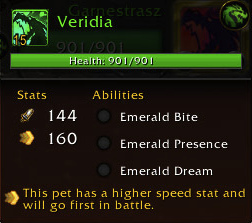 She doesn’t have any Dragonkin attacks as Emerald Bite is actually Magic, so it’s safe to put a magic pet on her. The plan with her is to ramp up your dots and debuffs before she does a big heal, but save any large damage abilities until after she wakes up from her Emerald Dream. Then hit her as hard as you can as the heal has a relatively long cooldown. He’s supposed to be obsidian-colored, but he’s really more of a dark brown. Obsidion is a dark dragon with a weird set of abilities. He has Call Darkness which hits you with Humanoid damage, and changes the weather to Darkness. It’s annoying, especially if you have a Dragonkin you’re attacking him with. He also has Darkflame which hits your pet with elemental damage and cuts any heal abilities in half for 2 turns. Fortunately, it has a 3 turn cooldown. Finally, he has the usual Dragonkin attack: Shadowflame. He’s not really that hard and if you have pet with full health you can just burn him down, but keep Dragonkin and Magic pets away from him. In summary, if you have a humanoid, or a pet that does humanoid damage, this is easy mode. If you have a Magic or Flying heavy team, this can be tough. Most compositions shouldn’t have too much trouble. It’s okay. They’re only a few thousand gold on the Auction House. I’m sure you can get another! Taming Eastern Kingdoms #8: It’s Undead, Kill It! Scenic lake front property. Quiet neighbors. What could possibly go wrong? So this Draenei Death Knight goes on and on about how wonderful it is to be undead and how everyone should try it, but two of her pets are actually Beasts? Go figure! In any case, if you have a Mechanical or two, go ahead and try her at Level 12. 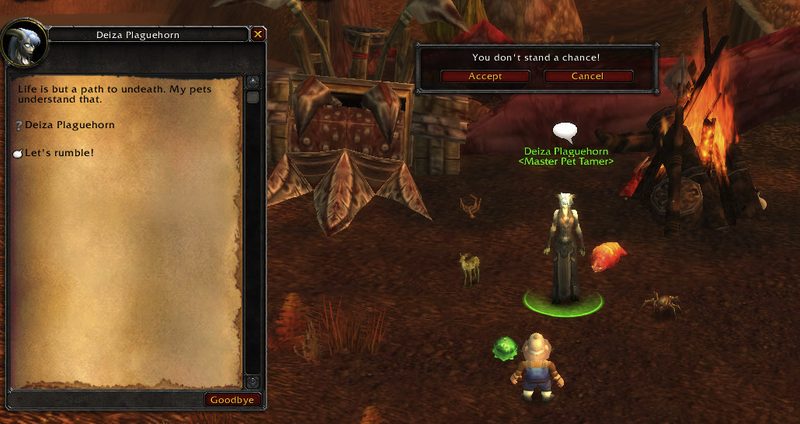 Otherwise, it’s probably better to wait until your pets are Level 13. She’s not that difficult a fight, but you still need enough hit points to survive. 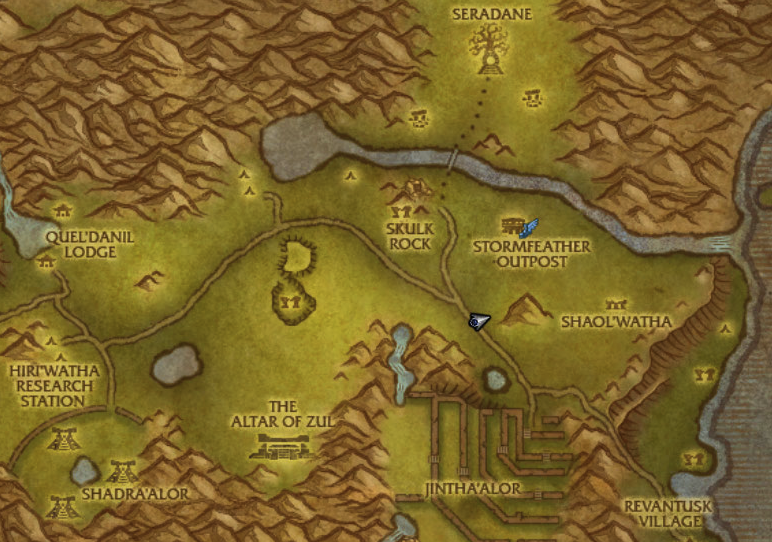 Also, there aren’t any stable masters in the entire zone. Which makes this place annoying. She’s undead and loves talking about undeath and undead things. He enjoys long walks and feasting on corpses. Carrion is more Beast-like than the other big giant worm thingy you fought at the last trainer, but not by much. Mainly, he just puts Acidic Goo on you to make you take extra damage then Leaps and Chomps until one of you is dead. Annoying, but not too tough. Bleakspinner is another beast. Keep critters away from him. He has a normal beast attack (Strike) and two spider attacks: Sticky Web, which snares your pet, and Brittle Web, which damages your pet every time it attacks. The key to this pet is to use large attacks. 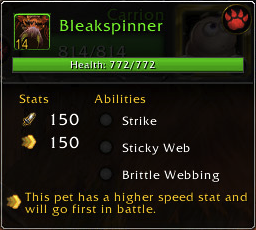 Dots or other small attacks will hurt your pet more than they hurt Bleakspinner. She’s kind of cute for being dead and all. Plaguebringer is an undead fawn. All of her attacks are undead, so keep humanoids away from her. If you have a Critter or an Aquatic pet (especially one that does critter damage), she is easy mode. Most of her attacks are damage over time, so a shield ability is also good. She’s not really that tough, but you will fight more annoying ones like her later on. In summary, this is not a tough fight unless you have a Critter- or Humanoid-heavy team. It’s super easy with a Mechanical, but you shouldn’t have too much trouble with most groups even though your pets may not all survive. Your next life maybe. That’s the way these things go. What reputable scientist keeps a lab in the middle of nowhere? Welcome to The Royal Apothecary Society’s Creepy Lab #5,276! We recommend all pets be Level 12 or higher before visiting. Here in our creepy lab, we experiment relentlessly on rabbits, bunnies, and other small mammals in order to create the perfect killer rabbit army! After that we will surely rule the world. It’s all right here in our Evil Plan of Evil™. Build Creepy Lab in Middle of Nowhere. Create Army of Killer Rabbits. Meet David Kosse. The (Undead) Man with a Plan! Dude. He didn’t even bother to name you? 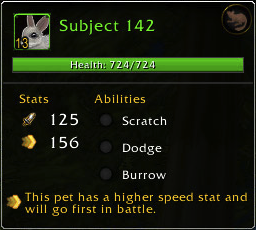 Subject 142 is a bunny. You’ve probably fought many of them before this. The hardest part is hitting the guy as he has both Dodge and Burrow. 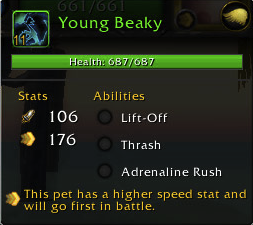 If you have a beast pet, put it on this guy. He probably ate Subjects 1–141. Corpsefeeder is a beast, but he doesn’t really have many beast attacks. Instead he has a critter attack called Acidic Goo that causes you to take 25% extra damage an an undead attack called Consume that will heal him whatever damage he deals. Keep humanoids away from him and attack with mechanicals if you have them. He also has Sticky Goo which is very annoying as it roots your pet for 5 turns. This means your pet will probably be killed before it can escape. 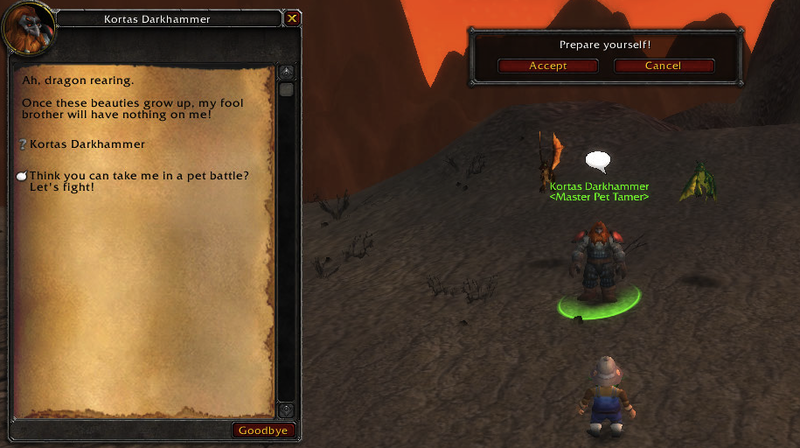 If you need your pet to survive, use a stun and kill this guy last. Meet Plop. He’s an icky ooze. Plop is an icky magical ooze. 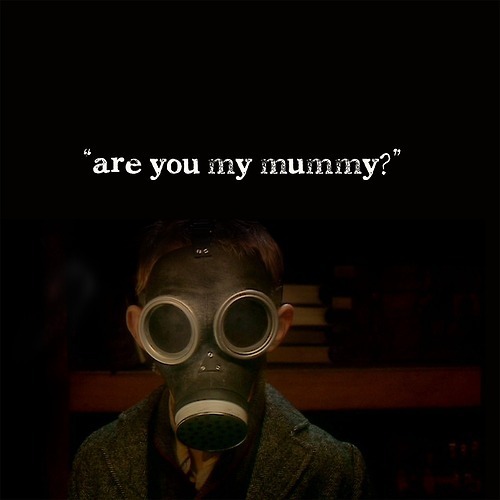 I don’t want to know where or how Creepy Gas Mask guy got ahold of him. Though if I were to guess, I’d say it was in Skulk Rock. 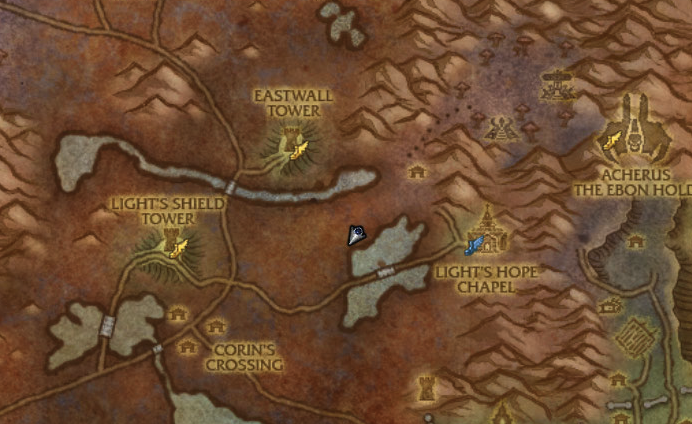 That seems to be where they live. Anyways, Plop has an undead ability (Ooze Touch) and two annoying dots. 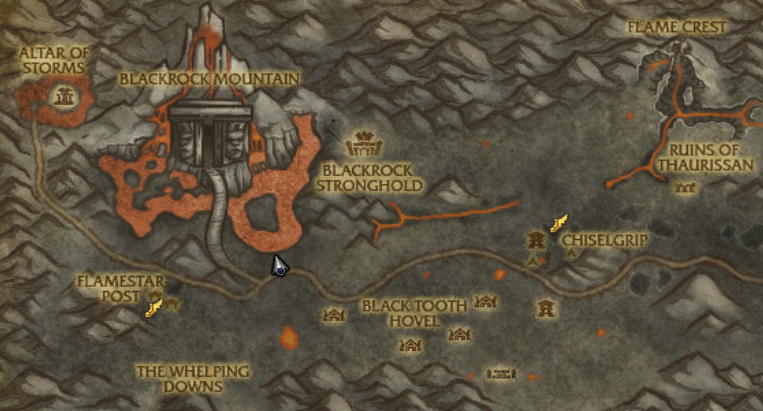 If you have a dragonkin, you can use it here. Plop stings a bit, but is not too difficult if you try and kill him quickly. He does alot of damage when all of his dots are up. 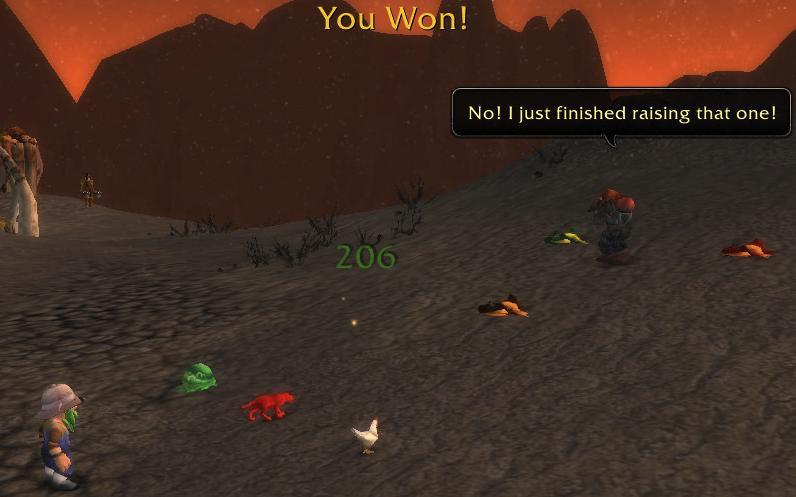 In summary, this fight isn’t that annoying as long as you match your pets up correctly. 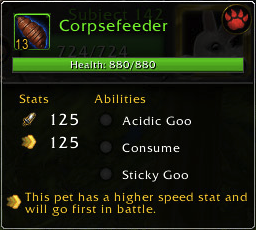 Don’t expect all of your pets to live (thanks to Sticky Goo), but on the bright side, there’s a stable master nearby.